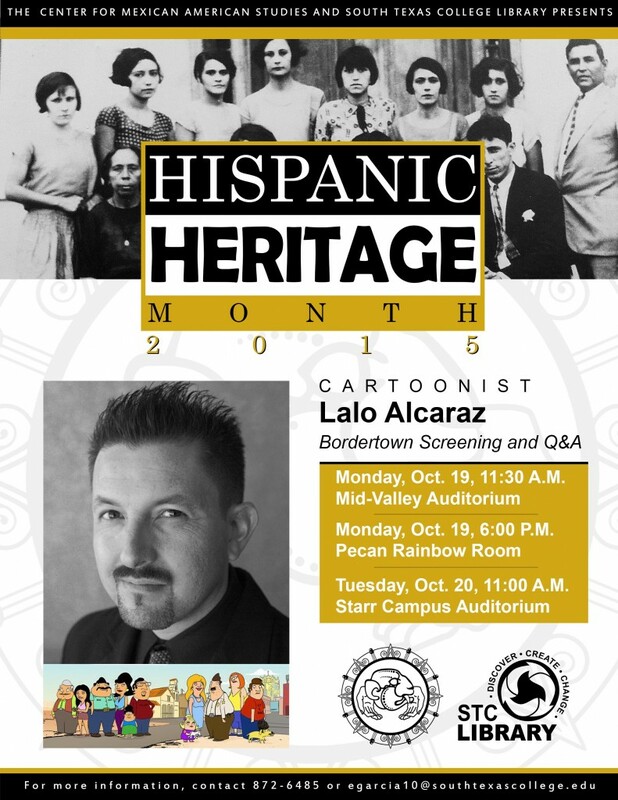 To conclude the lecture series, internationally renowned cartoonist Lalo Alcaraz will visit South Texas College Oct. 19th-20th throughout the STC Campus Libraries. Oct. 20 at 11 AM at STC’s Starr Co. campus in Rio Grande City. Lalo Alcaraz is perhaps the most prolific Chicano artist in the nation. Lalo has been busy for over two decades chronicling the political ascendancy of Latinos in America and vigorously pushing the boundaries of Chicano art in the Post Chicano Art Era. He is the creator of the first nationally-syndicated, politically-themed Latino daily comic strip, “La Cucaracha,” seen in scores of newspapers including the Los Angeles Times.